Nobelcom is a popular app to call Nepal from around the world. There are a huge number of packages available to choose from. At 4 minutes rounding time and 99-cents/week maintenance fees, the 20-dollar package offers 288 minutes of talk time. At 1 minutes rounding time and 49-cents/month maintenance fee, the 20-dollar package offers 202 minutes of talk time. At 1 second rounding time and no maintenance fee, the 20-dollar package offers 168 minutes of talk time. Choose the pack you require and obtain cheap international calls for using the Nobelcom app for Play Store & iTunes. 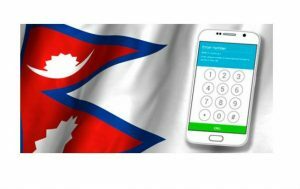 Lycamobile is another cool app for facilitating cheap international calls to Nepal. The plans for Lycamobile are available both in packages as well as in pay as you go format. For all landline plans, the charges are 9 cents per minute. For calling Ncell mobile in Nepal, you will have to pay 6 cents per minute and 9. For calling Ncell mobile in Nepal, you will have to pay 6 cents per minute and 9 cents per minute for other plans. SMS service is free for all plans, but if you are using no plans, then you can pay the price of 12 cents per SMS. Join Lycamobile and enjoy cheap calling rates now. Amantel is another application that supports cheap international calls to Nepal. It is another one of the cost efficient and effective calling card for Nepal. These calling cards offer lower call rates and other extensive features. The price range for 60 minutes in Landline and mobile phones as well as 45 minutes in Spice mobile phones is 5 dollars. In 10 dollars you will get 120 minutes talk time on landline and mobile phones and 90 minutes in Spice mobile. For 25 dollars you will get 300 minutes to landline and mobile phones and 225 minutes in Spice mobile. Similarly, 50 and 100 dollars will offer 632 and 1265 minutes in landline and mobile phones respectively. 50 and 100 dollars will offer 475 and 950 minutes in landline and mobile, as well as Spice mobile respectively. Download app. Nymgo is another cool app used to make cheap international calls to Nepal. A number of monthly deals are available for the same. For calling a 20 min call time will require the charge of 1.99 dollars. If you buy the subscription package of 70 minutes at once, you can pay the amount of 5.99 dollars. A 260-minute package costs around 20.99 dollars. There is also a pay as you go credit package; you will have to pay the amount of .0101 dollars per SMS and 0.11 dollars per minute for the pay as you go package. There is also a pay as you go credit package; you will have to pay the amount of .0101 dollars per SMS and 0.11 dollars per minute for the pay as you go package. If you ought to call on a Ncell mobile, the cost for calls increased to 0.15 dollars per minute. This charge also requires the payment of a connection fee. Download apps for Play Store and iTunes. You can carry out cheap international calls to Nepal using Viber. There are a number of pre-paid packages that will certainly help you get started. You can easily buy Viber out credit and call any number all around the world using Viber. The most popular package available for cheap international calls to Nepal costs 9.99 dollars. In that amount of money, you can call Nepal for 118 minutes. Another starter package available costs 4.99 dollars with 59 minutes of call time. For a frequent caller, the package of 24.99 dollars and 294-minute call time is suitable. If you do not require a package to call Nepal, then you can use the normal tariff of 8.68 Nepali Rupees per minute. Download Viber and enjoy cheap international calls to Nepal.